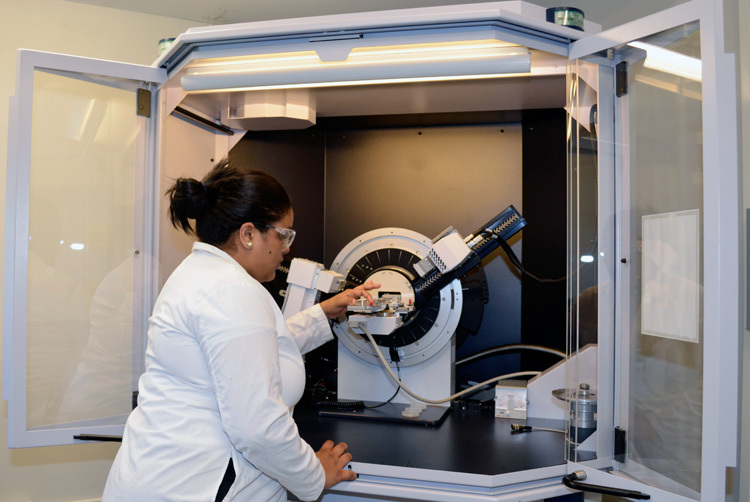 Through innovative ideas, motivated researchers and sophisticated laboratories the Center contributes towards solving current and future challenges in energy and development of clean technology products. Understand and assess the impact of disruptions on electric power infrastructures performance as a first step towards developing and improving resilience of critical infrastructures of national interest. Fuel cells-motor-propeller characterization and the particular aerodynamics and flight dynamics of the aircraft, to elucidate how the integration of fuel cells power energy sources affect flight performance, as well as to determine the effects of flight performance on the integrity of the fuel cells. Synthesis, characterization and electrochemical study of materials obtained from the optimization of the synthesis procedures to improve the electrochemical properties of composite materials cathodes for lithium ion batteries. Develop new visible light sensitive photocatalytic materials for obtaining efficient and affordable water splitting for generating hydrogen using sunlight. Contribute in the development of a durable, cost-effective membrane electrode assembly by working on the improvement of the catalysts layer materials, specifically by presenting a novel catalyst support material. Development of new stable photocatalysts by incorporating metal elements into the structure of ZnCdS and magnetite photocatalysts. Also, the addition of new findings in the design and development of a homogeneous water splitting reactor. Mathematical science-based algorithms for signature extraction from HSI data based on unsupervised unmixing algorithms and target are being developed. Data is being used for remote sensing of nuclear proliferation sites and improve image processing techniques. Study the effects of recycled oil based biofuels on combustion efficiency and emission in diesel engines and compare the performance of different blends sold in Puerto Rico. Development of efficient computer programs which avoid time iteration in several linear multi- dimensional systems: heat transfer, electrochemistry, electromagnetism, fluid flow in porous media, and fluid dynamics.